Facebook developers always try to make user experience more better with its features and Facebook itself. So that’s why Facebook developer also introduce Badges and social plugins which includes number of helpful things for rest of web. For the list of number of best plugins Facebook comment is one of them. Facebook Comment box helps your blog visitor to comment on your blog via Facebook account. Facebook comments also helps to increase your site traffic because if someone use its account to make comment then your commented post automatically comes in their news feed. Which increase chances for getting more visitors. As We already discussed about the advantages of adding Facebook Like Box and also using Facebook Like button in between articles. 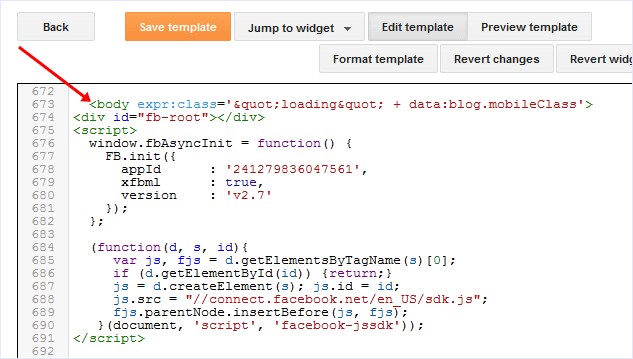 Facebook Comments box also help you to make your blog for user friendly if you have great visitors from Facebook. 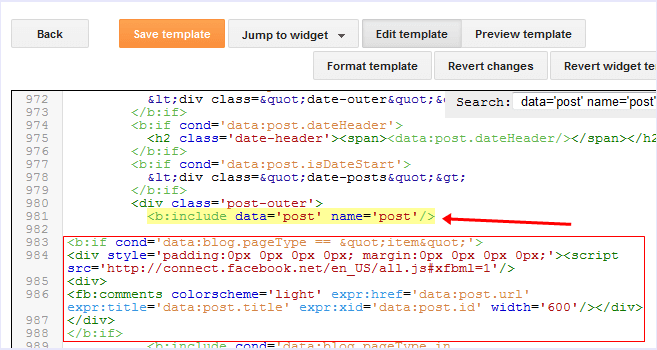 So if you want to add Facebook comment into your bloggers blog then follow below given simple steps carefully. 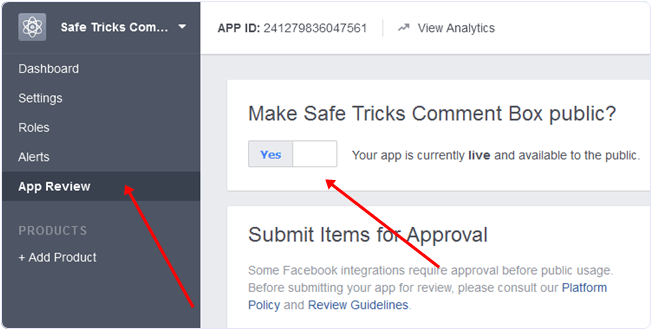 Then Popup Window will appear to fill details regarding Facebook app. Fill Display name, Contact Email and select category and after that click on create App ID. Within few secs new app will get created. Now you have to change app review status from developer mode to public as show below. Now Copy Paste App ID For using in further steps. If are unable to find simple locate as shown below. In case you feel to adjust width of comment box then change values of width=’600′ according to your choice.